Anyone who only wants to build walls and not bridges is not a Christian, Pope Francis says. 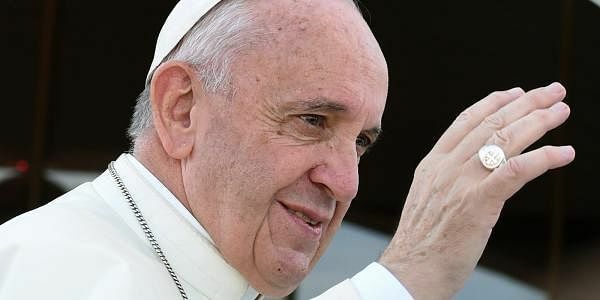 VATICAN: Pope Francis on Friday warned European Union leaders the bloc risks dying without a new vision of the future based on the principles of solidarity on which it was founded. In a hard-hitting message on the eve of the troubled EU's 60th anniversary celebrations in Rome, the Argentine pontiff spelled out the many problems facing a union soon to lose Britain from its ranks. And while he said problems such as the economic and migration crises and the rise of populism could be overcome, he said they could prove fatal if not treated. "When a body loses its sense of direction and is no longer able to look ahead, it experiences a regression and, in the long run, risks dying," he said. Francis said the leaders of the six countries who founded the European Economic Community on March 25, 1957 had shown faith in the future in the aftermath of a destructive war. "They did not lack boldness, nor did they act too late," he said. "It was clear from the outset, that the heart of the European political project could only be man himself. "The first element of European vitality must be solidarity," he added, describing the principle as "the most effective antidote to modern forms of populism."